Companion Mode is a relatively simple game mode. At any time when you're not in a dungeon, including in a rest area in the middle of one, you can access the menu and select Companion Mode. In this mode, you can select any of the Pokémon you have recruited and control them. You have full access to the entire Pokémon Paradise, but not the town. This is the only way to play as Pokémon other than your starter in the hub area. 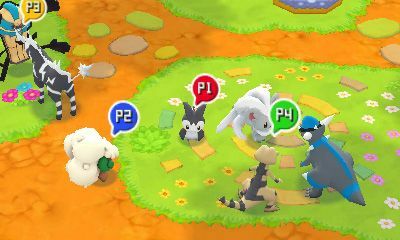 When in the Pokémon Paradise, you can participate in various missions, both standard and special and build up the Pokémon Paradise. In standard missions, you have the ability to use other Pokémon you have recruited to join your team. All experience is counted for the battles here and any and all items can be put into the chest for use by your standard character, even accessible in a rest stop in the middle of a dungeon. The standard missions in the game are not available through this mode, with you only being able to send them to Azumarill to play later. 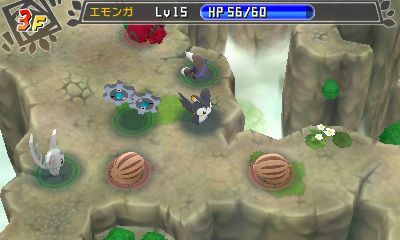 The gameplay in Local Play is primarily done in the special missions, including the special Legendary Pokémon boss battle missions, making it easier to win due to having multiple players at once.